It's 1663 in the tiny, hardscrabble Dutch colony of New Amsterdam, now present-day southern Manhattan. Orphan children are going missing, and among those looking into the mysterious state of affairs are a quick-witted twenty-two-year-old trader, Blandine von Couvering, herself an orphan, and a dashing British spy named Edward Drummond. Suspects abound, including the governor's wealthy nephew, a green-eyed aristocrat with decadent tastes; an Algonquin trapper who may be possessed by a demon that turns people into cannibals; and the colony's own corrupt and conflicted orphanmaster. Both the search for the killer and Edward and Blandine's newfound romance are endangered, however, when Blandine is accused of being a witch and Edward is sentenced to hang for espionage. Meanwhile, war looms as the English king plans to wrest control of the colony. Jean Zimmerman brings New Amsterdam and its surrounding wilderness alive for modern-day readers with exacting period detail. 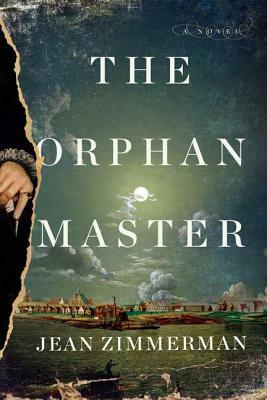 Lively, fast paced, and full of colorful characters, "The Orphanmaster" is a dramatic page-turner that will appeal to fans of Hilary Mantel and Geraldine Brooks. Jean Zimmerman was born in Tarrytown, New York. An honors graduate of Barnard College, she is the author of several works of nonfiction, including "Love, Fiercely: A Gilded Age Romance" and "The Women of the House: How a Colonial She-Merchant Built a Mansion, a Fortune, and a Dynasty." She lives in Ossining, New York.